Moving to New Hampshire is a great way to get exactly what you are looking for in homeownership. Here is a list of 5 Things To Know before making the move. New Hampshire was settled in 1623 and was one of The United States 13 Original Colonies. Dubbed the “Granite State,” for its granite quarries, NH was also known for its textile production. Cotton and paper were significant exports of the state and remained an economic boon until the 1950s. Historic textile mills can still be found throughout the state; a reminder of the region’s industrial roots. New Hampshire is one of five states in the country that does not have a sales tax. A lack of sales tax is a huge benefit to consumers in NH, and often drives residents from out of state to make purchases. In addition to not have a sales tax, New Hampshire also does not have a state income tax. The ability to find a job is a valid concern when considering a move to a new state. New Hampshire boasts the second lowest unemployment rate of any state in the nation at just 2.5%. Moving to NH affords you a plethora of options when deciding what you want in the area to call home. If you want to be close to nature, trails, and hiking; maybe the Lakes Region is for you? Interested in being closer to nightlife, shops, restaurants, and just a short drive to Boston? Then perhaps Southern NH would suit you. Want an area that is more secluded? Northern NH provides plenty of stunning places to hide away and get some privacy. Want a bit of everything? You won’t have an issue finding homes that are just a short drive from whatever you enjoy. New Hampshire is a truly stunning area to call home. Moving here will offer no shortage of places to explore and sites to see. Located in the Mid to North-Eastern portions of the state, The Lakes Region is full of outdoor activities. Fish, swim or sail on Lake Winnipesaukee, hit up one of the countless trails, or just relax on one of the many beaches. If skiing or mountain hikes are your things, then be sure to visit the beautiful White Mountains Region. There are plenty of resorts, trails and state parks to visit. In addition to all the above outdoor activities, NH boasts 18 miles of coastline along the Atlantic Ocean. Towns like Hampton have amazing beaches and nightlife, as well as activities like fishing, picnicking, and RV camping. If you are going to be setting roots down somewhere, you may be wondering how the schools in the area are. Well, we are pleased to let you know that New Hampshire has many A-rated school systems located in truly wonderful communities. Additionally, NH has plenty of fantastic colleges and universities to choose from. So, if an excellent education for your family is what you are after, then don’t think twice about moving to NH. If you decide to learn more about moving to New Hampshire, you are going to want to know what the housing market looks like and just how far your budget can take you. Let’s take a glimpse at the median home prices for single-family houses in New Hampshire in 2018, broken down by county. You will not be disappointed if you choose to live in New Hampshire. Our list contains just some of the astounding features this state has to offer. 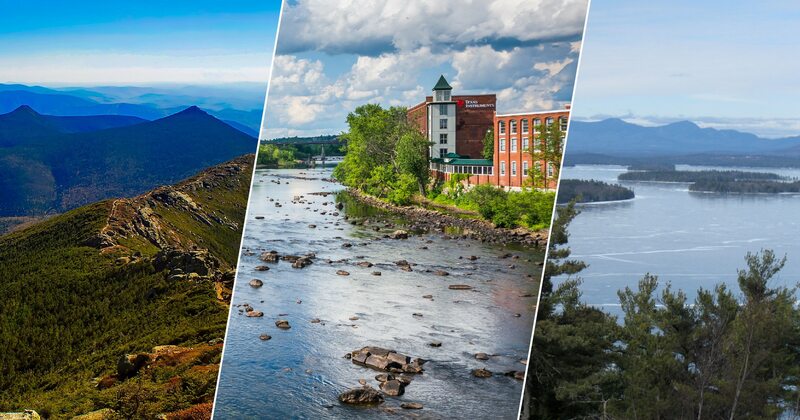 If you are interested in learning more about moving to New Hampshire, please be sure to find a local expert to answer all of your questions. Contact us at info@innovativesells.com to be matched with a local real estate expert.